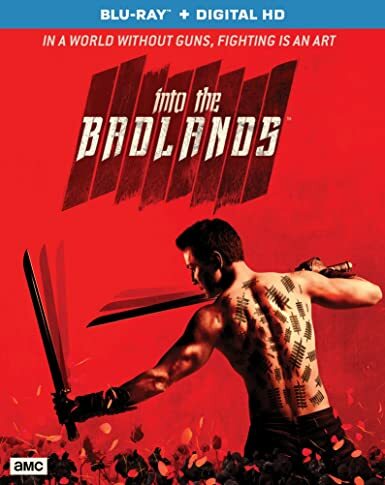 Into the Badlands - BUY ON DVD! Centuries from now, civilization as we know it has ceased to exist. Billions perished and nations collapsed, but over time, a feudal society emerged where the strongest rose to wealth and power. This area, known as the Badlands, is uneasily divided among seven rival Barons who control the resources necessary to daily life. Each Baron has loyal armies of trained assassins known as Clippers. Baron Quinn s head Clipper, Sunny (Daniel Wu), grew swiftly through the ranks to become Quinn s most trusted advisor. For decades, Quinn has been unchallenged as the Badlands most powerful Baron, but there is a rising suspicion among his rivals that he is growing vulnerable. The territory s newest Baron, The Widow (Emily Beecham), has begun testing his appetite for a fight. An ambush leads Sunny to a teenage boy, M.K. (Aramis Knight), who Sunny soon learns harbors a dark secret and has a hefty bounty on his head. Sunny selects M.K. as his Colt (student) and together, they will embark on an odyssey that could mean the difference between chaos and enlightenment for everyone in the Badlands. THEN SEND IN YOUR NAME, ADDRESS AND 5 COMMENTS TO contests@efilmcritic.com. Put "100% MALICK FREE" in the subject line and cross your fingers. We will draw names and you could receive a copy.. Only 1 entry per household.